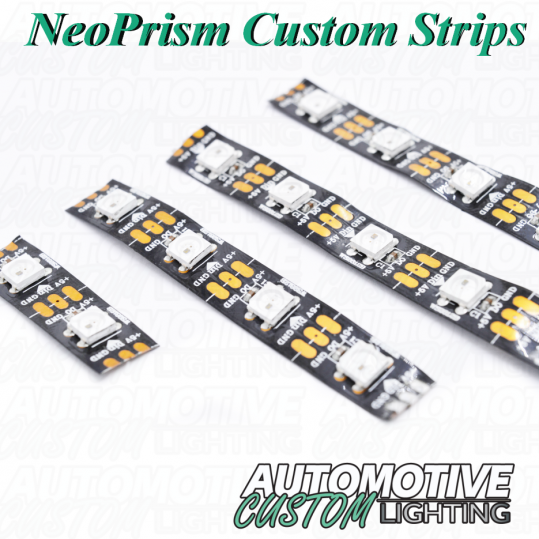 NeoPrism WS2812b custom strips. Select the length desired with options. Please note these strips are hand made. DO not request overnight shipping as it make take some hours to have made. 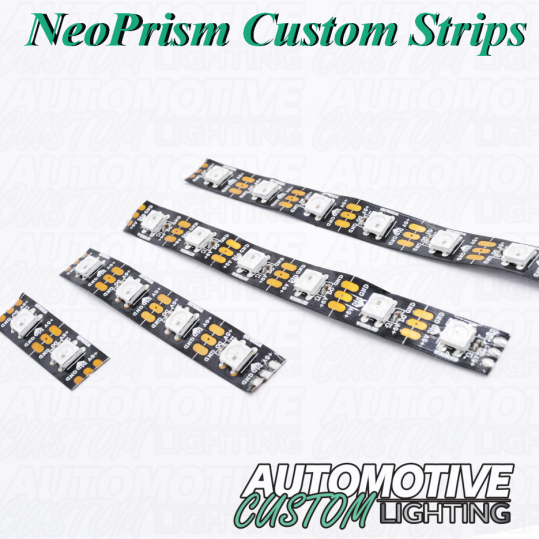 These strips are composed of fully addressable LEDs and work perfect with the new BlueGhozt Controller. Max Request Length is 3ft. 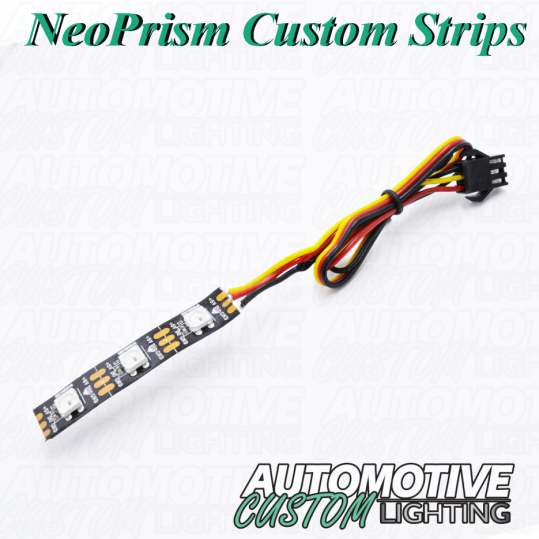 1 x Strip per requested Length. Please add multiable items to shopping cart if you need more than one.